If you need a plumbing, heating, and air conditioning company in North Haledon, NJ, call Rite Rate Heating & Cooling! We’re the best when it comes to repairs, installs, replacements, and maintenance of your plumbing and HVAC system in your home or business. At Rite Rate, we have a team of professional contractors and plumbers that are fully licensed and insured to carry out 24/7 emergency plumbing, air conditioning, and heating repair. Additionally, we specialize in replacements, installations, and maintenance. See below for details about our comprehensive services! Rite Rate is a heating company in North Haledon, NJ that is dedicated to quality heating services. Our contractors can install, replace, maintain, and repair boilers, furnaces, and hot water heaters for your home or business. If you’ve noticed your heating system isn’t working, that there’s no hot water or heat, then call us for urgent heating repair in North Haledon, NJ! As soon as you call us, we’ll send a contractor to your location immediately. We’ll fix any loose switch, broken valve, damaged heat exchanger, burner, fan, or anything else that may need repair or replacement. Are you having trouble deciding which heater is best for your house or building? As an expert heating company, we can recommend the right heating system that’s affordable and efficient. If you’ve seen a spike in your utility bills, call Rite Rate for heating maintenance to increase your heater’s efficiency. Do you need a new air conditioner for your business or home? Is it the middle of summer and the AC won’t turn on? Contact our air conditioning company in North Haledon, NJ! Rite Rate is happy to offer you air conditioning repairs, replacements, installations, and maintenance. Our contractors are highly skilled on all makes and models of commercial and residential air conditioners. This includes packaged air, heat pumps, central AC, forced air, ductless air conditioning, and air handlers. There’s no AC condenser, fan, blower, coil, or AC compressor that we can’t service! 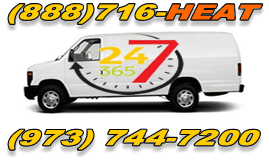 Contact us anytime 24/7 for quality air conditioning services. Is a clogged toilet flooding your bathroom? Does the kitchen sink constantly leak? The plumbers at Rite Rate can take care of all your emergency plumbing needs. We’re the best professional service provider to offer you affordable plumbing repairs, installations, and replacements. Our team can fix and install any brand of bathtubs, sinks, faucets, showers, toilets, and sump pumps! You can also rely on Rite Rate for emergency sewer and drain cleaning to water damage restoration. Give us a call and we’ll be happy to give you a free plumbing quote!